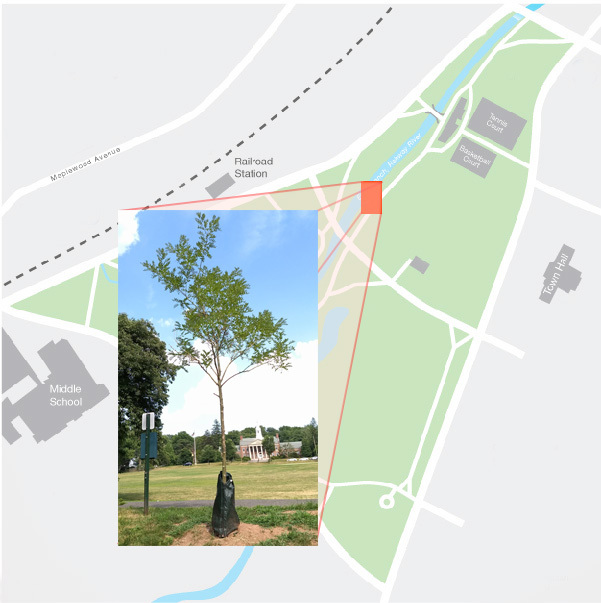 The beauty of historic Memorial Park is due, in large part, to the existence of the many and varied trees that have been planted throughout the park. The Maplewood Memorial Park Conservancy is pleased to offer two programs for community members to participate in the preservation and enhancement of the park’s tree collection — 1) dedication of individual trees and 2) a general tree fund. The Maplewood Memorial Park Conservancy is honored to work with the Township to continue the tradition of planting dedicated trees in Memorial Park. 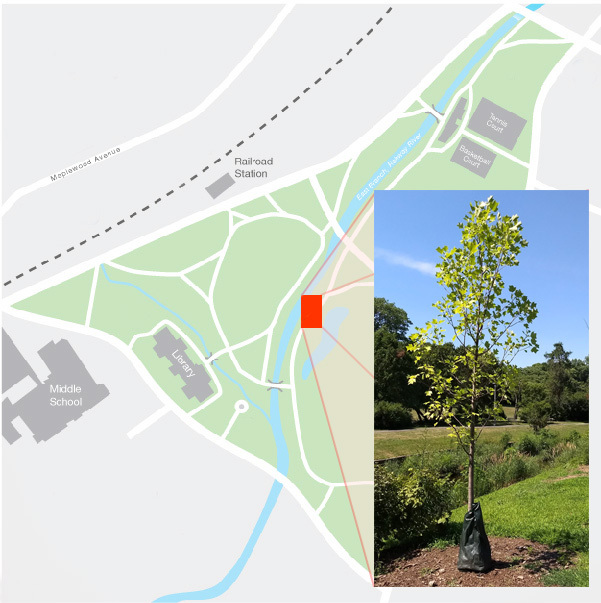 Donors can create a lasting legacy for a loved one, commemorate a special occasion, or just acknowledge the beauty of our historic park through the donation of a dedicated tree. Individual trees can be purchased in various sizes and species, for different levels of giving. A number of smaller trees have recently been planted by the Conservancy and are available for dedication. Others, not yet been purchased, can be dedicated at any of the levels indicated below. It is important to note that, since Memorial Park is a local landmark, listed in the National and New Jersey Registers of Historic Places, trees that are to be planted must be carefully researched and chosen for their appropriateness to the original planting plan as well as suitability to today’s environment. An approval by the New Jersey Historic Preservation Office is also required. The purchase price includes the initial cost as well as money set aside to replace the tree if necessary. A dedication tag will be attached to the tree, giving both the common and scientific name of the tree, date of donation, and a personalized dedication. 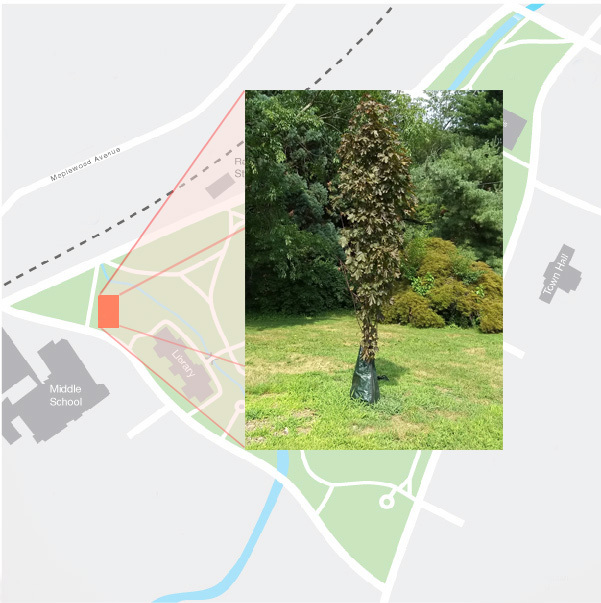 In addition, the donor will receive a certificate acknowledging the gift, a map showing the placement of the tree and a listing on the Conservancy website. A one-year membership to the Conservancy is also included (the highest level of donation includes a lifetime membership). These specimens are large spreading trees (60’ high by 60’ wide) with light green, soft foliage. For several weeks in late summer, the trees have beautiful creamy flowers which then mature into interesting bean-like fruits. These long-lived trees are originally from China where they are often planted at temples. 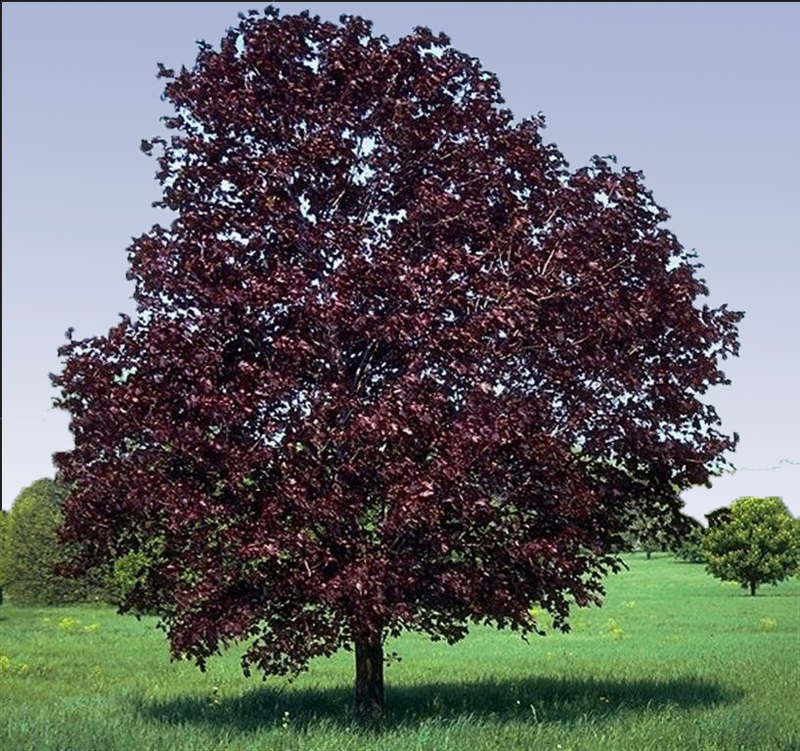 Royal Red Norway Maple is a medium sized tree (40’ high by 35’ wide) which has rich maroon colored leaves throughout the growing season. The early spring flowers are bright green and lightly scented, and, later, mature into dark red 2-winged fruits (samaras) by early fall. These fast-growing medium trees (50’ high by 50’ wide) are best known for their beautiful red foliage in fall. Spring brings small red flowers which mature into red samaras in early summer. 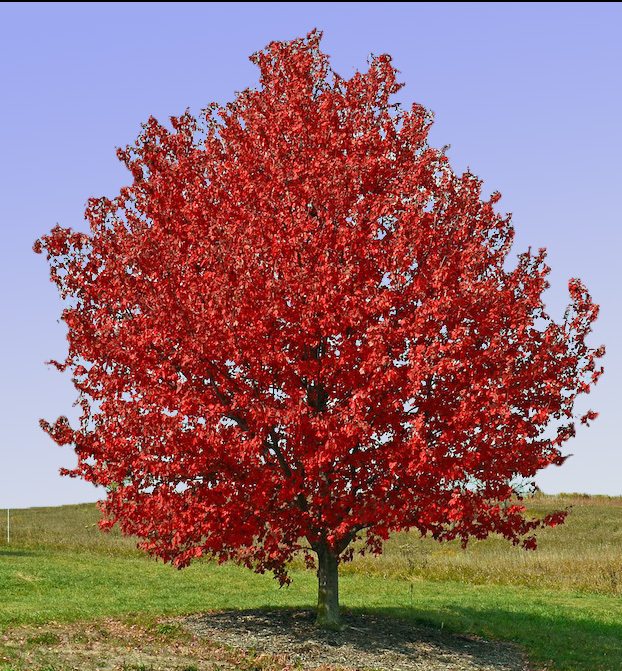 Red maples are native to the Eastern U.S.
A large stately tree (80’ high by 40’ wide) named for its beautiful tulip shaped flowers that bloom in spring. 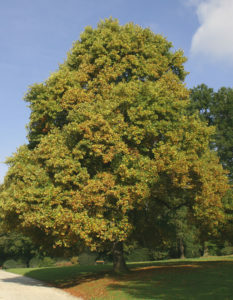 The distinctively shaped leaves are medium green during summer and change to bright yellow in the fall. The fast-growing and long-lived tulip tree is native to the Eastern U.S.
Donors have the opportunity of giving any amount to a General Tree Fund to support the beautiful Memorial Park. 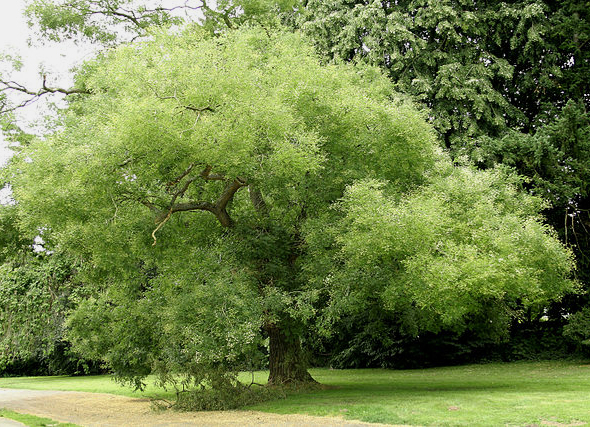 The General Tree Fund will ensure a reliable source of funds to help cover the costs associated with replacement of existing trees, many of which have been affected by disease, storm damage or advancing age.